← Is there something hiding in the bush? 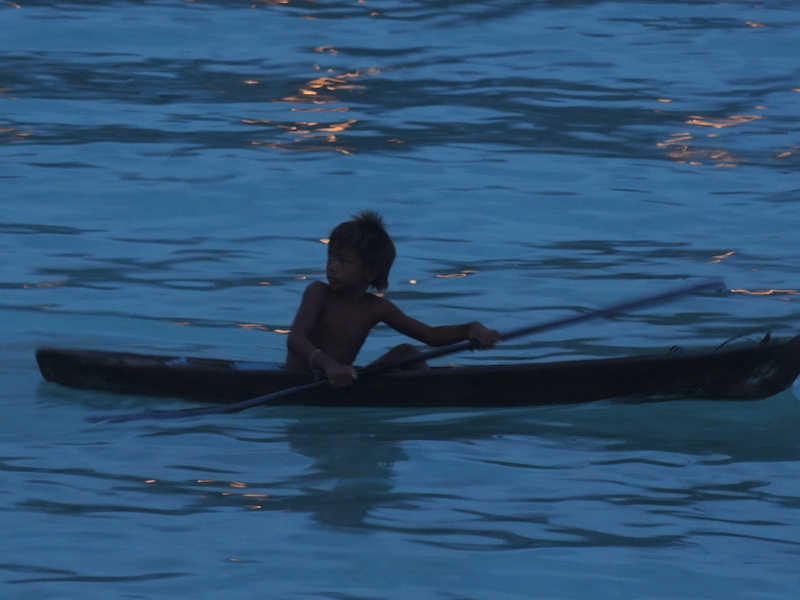 I took this photo after sunset on Mabul Island. I wish the lighting was a little better. I wonder where this child was going and why he was alone at night? This entry was posted in Travel Photos and tagged 50 Year Project, Asia, Beaches, Children, Life, Mabul Island, Malaysia, Nature, Photography, Sabah, Sea gypsies, Sunset, Travel, Travel Blog, Travel Journal, Travel Photo. Bookmark the permalink. No, I love the lighting in the photo – I thought it was intentional to be honest – it looks great. This is a fabulous photo. I think the lighting, as is, adds to the drama I feel in the photo. Watching him broke my heart. Beautiful shot. I guess things are done differently and I am sure (I hope) he was safe and sound…. I’m sure he is as well … don’t want to think otherwise. Wow, this picture really makes you stop and think about the boy’s story… Very special. I also liked your previous photo on the 17th (the Giraffe in Botswana), that was really fun! I love the lighting just as it is. It’s a perfect photo. I can only imagine. My generation were more independent I think. Now parents have to worry about so many threats to kids in cities. Not even the schools are safe. Oh I love the lighting!!! I think that boy has a far different lifestyle than my kids had growing up…. I know it’s different from my childhood. Dude. This is an awesome photo the way it is, not need for extra light or brighter light or anything. You totally captured a moment. Dude. NICE! Muy nice shot. perfect shot. i could look at it for hours.